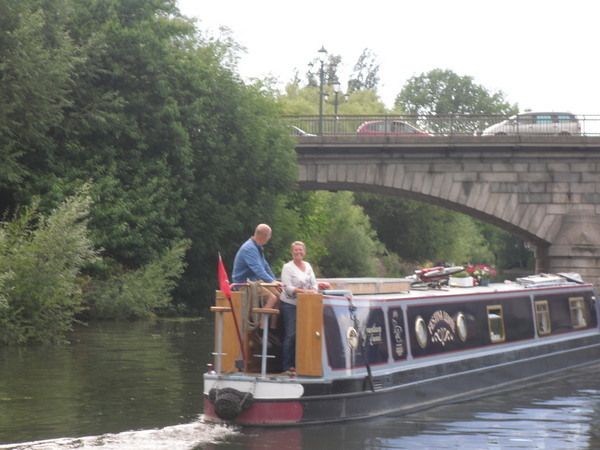 After a brush with bowel cancer, Andy and his wife Sue decided to live life to the full, retire early and continuously cruise the canal network. They now have no fixed abode and love every minute of their new lifestyle. I suppose we have been planning getting a narrowboat since our 20’s. for when we retire but last year I had cancer of the bowel so we decided to retire early and live on smaller pensions. ‘Festina Lente’ it’s latin for ‘make haste slowly’ The boat was already named. We haven’t a mooring yet but will have a winter berth in a marina. Since April, this is our first year on her. Inconsiderate people who moor at water points. Absolutely everything, life at this pace gives your eyes time to see. A bigger cratch area maybe and I’d love a bow thruster. We moor near supermarkets or get them to deliver the heavy stuff, we use farm shops and local butchers which are a little more expensive but far superior quality. If we need a car to visit relatives we use Enterprise who collect us from the boat. We have a full size domestic appliance on board. Cassette with 3 tanks. We can go a couple of weeks if we really needed too. We haven’t found Elsan services hard to find. MiFi contract with 3 , very happy, the coverage for the data is much better than their mobile phone coverage for some reason. 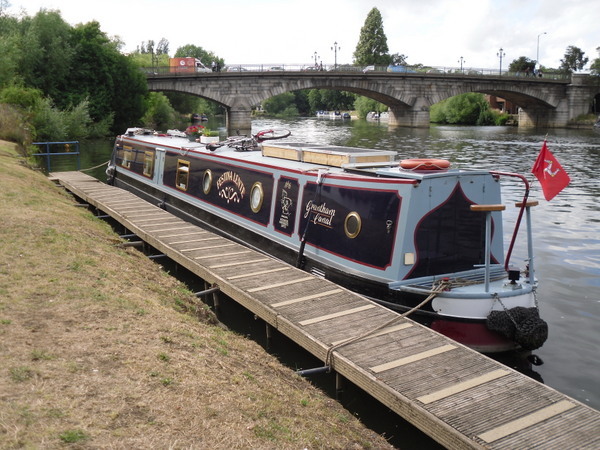 Thames is our favourite waterway but the South Oxford is nice and we are on the Ashby as I write which is beuatifully rural although shallow in places. Twin alternators and 5 leisure batteries plus 250 watt solar panels. The summer we have had we haven’t needed to run the engine to top the bank up. We are not big electric uses mainly recharging stuff like laptops. We have a TV but don’t use it much. The biggest user is the washing machine which we have to run the engine to use. We haven’t been through a winter yet, but April was cool and we had the Epping stove lit which warms the boat nicely.We also have diesel central heating to 5 rads if we need it. Know your budget. Look at loads and loads of boats on the internet to get a feel for prices. Some brokers seem to chance their arm with the price probably to get the vendor to sell through them, then the price suddenly drops by as much as £10,000, so don’t get caught out. Make a list of everything you must have on your boat and another list of would be nice to have aboard. You can use this list to whittle down the boats to view. Then spend time driving around marinas viewing as many boats as you can and speak to boaters, sit by a lock and ask them questions , they are a chatty bunch. A full Survey is a must. You can read Andy’s excellent and often updated blog here. Hi Sue, good to read your blog. We are a mirror couple of you, except Chris had a fight with bone plasma cancer which almost cost him his life! That was 2 years ago, since when we have sold the house, & are now living in a caravan whilst our boat is being built. A question for you, from an apprehensive wife, how long was it before you settled down to life aboard? Was it an immediate love, did you have days of self-doubt, or do you gradually acclimatise? While you’re waiting for Sue or Andy to respond, let me add my two penneth worth. I think you either love the lifestyle or you don’t. I’ve been on my own boat now for three and a half years and I can honestly say that I’ve loved every minute of it… even in the depths of my first winter on board, when the nighttime temperature plunged to a decidedly chilly minus eighteen, I was very happy to be living on the boat rather than living in a house. I suppose the hardest thing to get used to is the lack of space. I had to adapt to a total living space marginally smaller than the area of my old lounge at home. In that space I had to cram all of my worldly possessions. Admittedly there weren’t many of them at the time. I had just left my matrimonial home and escaped with a suitcase of clothes. I never did go back for the rest of my stuff. I left wardrobes of suits, dozens of shirts, racks and racks of ties. I didn’t need them on the boat. I’ve never missed them. The other big difference is that utilities aren’t on tap as they are in a house. Coal for the stove has to be carried to the boat in 25kg bags, gas for cooking in cylinders about the same weight and water has to be regularly topped up. Once you’re used to the regime though, it’s no problem. The space won’t be an issue for you if you’re currently living in a caravan and you have a similar issue with utilities. The big difference between a caravan and a narrowboat is that a narrowboat owner isn’t seen as a nuisance on the waterways as caravan owners are on the roads. 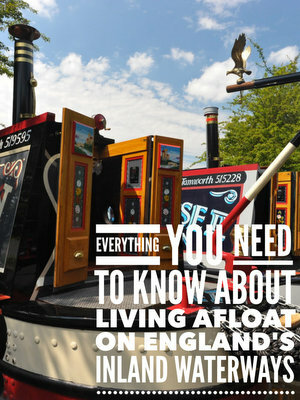 On the canals, everyone is a caravan owner and everyone – nearly everyone – is very happy to travel slowly. How is your build progressing? Who is building it? What’s the size and layout? Thanks Paul, we are really excited about our adventure. Boat will be 57×13, built by Burscough Boat Trading. We hope to move on board at the end of November & we have secured winter moorings at Scarisbrick Marina. We will be cruising the Northern Section next year. Everyone we have spoken with has always been very positive & content with their way of life. We have moved from a cottage on the top of the Pennines so lugging wood & coal comes naturally to us!! We are going on the Helmsman Course with Bear Boating of Apperley Bridge tomorrow & Wednesday.. & are looking forward to that. Once we get photo’s of the boat (which will be JetMeg1)we will post & start a blog ourselves I think. Sounds like you will take to life onboard no problem and you will have loads of space with a widebeam. Paul’s remarks about a caravan are correct, although sometimes the supposedly wide canals can be pretty narrow in places and a widebeam can be a caravan! However, the northern waterways are so quiet it is seldom a problem in my (very limited) experience.